My grandfather’s parents originally came, I believe from Suffork, but he was born in the East End of London, as was his wife, my grandmother. They moved to Laindon around 1935. Both my parents were born in Forest Gate, London, where I and my first sister were born, our next sister being born in Chadwell Heath. I am the eldest of seven sisters and brothers, my two brothers and younger two sisters being born after the family moved to Basildon. I came to Laindon in 1940, as a young child, to lived with my grandparents. We lived in a large family of aunts, uncles, and cousins. We moved with my parents into our own property 38, Basildon Drive, Laindon in 1941. My father went into an army infantry regiment for three years serving in Italy and various other fronts. 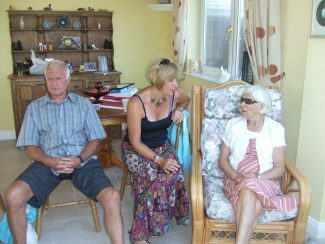 My mother did a post round as well as looking after the seven of us, it was the only job she had after her marriage and she loved it. We all had to help so we have our jobs around the house, they were very happy days. My mother passed away at the age of 84. I left Laindon in 1955 to get married and join my husband, when he joined British Airways (BA) at Heathrow Airport. My husband was Indian, very unusual in 1955. I have travelled around the world, spending a lot of time in India, but there is no place like home. I now Live in West Sussex, near my daughter, but my brothers and sister still live around the area, with their children, grandchildren. One of my sisters and her family still live in Laindon with her family. I have never lost touch with my roots and like to keep in touch with my very close knit family and get all the news. 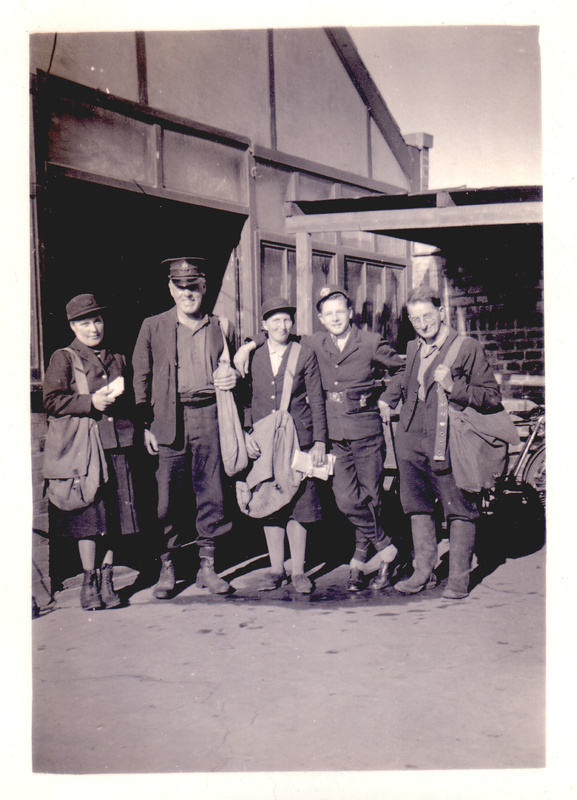 So when my sister-in-law told me about the site and I took a look I was very happy to see the old pictures and photos, you even have one of my mum who was a post lady during second world war. I enjoyed living in Laindon and would like to keep in touch. Hello Joyce, was one of your sisters named Ann, who worked for Yardley’s at Basildon? If so please give her my regards. Hi Joyce, remember some wonderful curries with Bridge? Also, remember John and Kelvin? I had fun with Kelvin on a trip to Devon. I now live in Oz (since 1976) but will be returning for a holiday sometime in the next few months… Sept 2012.